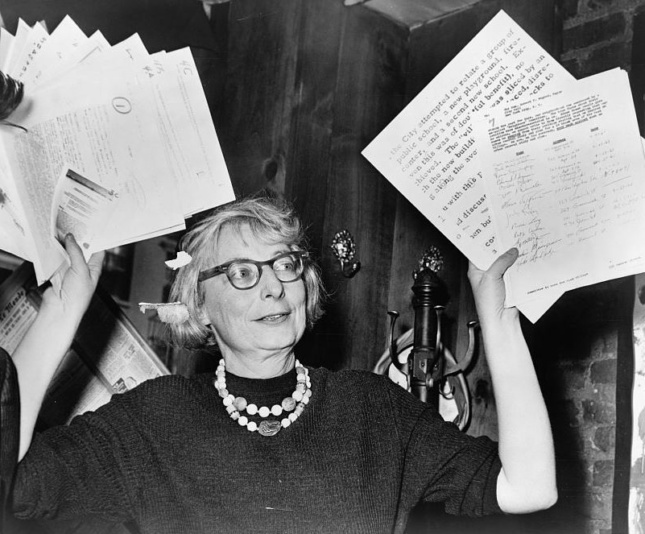 A housing development in Manhattan that was designed with the help of noted urbanist Jane Jacobs is threatened with demolition. New York-based developer Madison Equities has offered to purchase the West Village Houses, a low-rise development in the West Village containing 420 coop apartments, and wants to tear down all or part of them and replace them with high-rise housing, according to residents and preservationists familiar with the proposal. Bounded by Bank, Morton, Washington and West streets, the development consists of 42 five-story walkup buildings connected by gardens and other common areas. It was planned with Jacobs’ help in the 1960s, and designed by Perkins + Will. 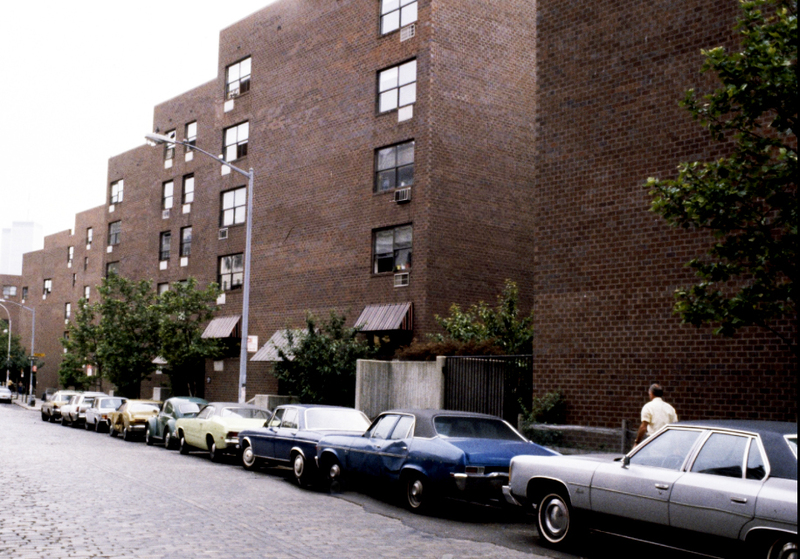 The first residences were completed in 1974. Madison Equities made the unsolicited proposal to redevelop the community this fall, and residents have been holding meetings this month to decide how to respond to it. The community’s board of directors has surveyed residents about the proposal and indicated it will seek competing offers before making any decisions. The plain brown brick buildings were constructed under the Mitchell-Lama affordable housing subsidy program. In 2002, the owners of the complex announced they were opting out of the program, and many residents faced enormous rent increases. A conversion to cooperative housing was completed in 2006, enabling most of the residents to remain either as owners or renters. Madison Equities’ offer comes one year after urbanists around the world celebrated the centennial of Jacob’s birth, on May 4, 1916. Despite their connection to Jacobs, the Houses are not protected by local landmark designation. The development was left out of the Greenwich Village Historic District Extension designated by the city’s Landmarks Preservation Commission in 2006. Madison Equities declined to discuss the company’s offer. An overview of the proposal released by the community’s board of directors states that Madison Equities has promised guaranteed sale prices for those wishing to sell, and luxury amenities for those wishing to stay. It calls for the residents who wish to stay to move out of their residences while construction is underway, and then move into the new high-rise housing once it’s completed. With the expiration of a community-wide tax abatement slated for March 2018, residents have been looking for solutions to keep the apartments affordable. They say they fear they won’t be able to afford the high real estate taxes the now-sought-after neighborhood commands. Residents say they’ve tried to get help from the Mayor’s office and state legislators, but no solutions are forthcoming. They also referred to a 20-year plan suggested by the city’s Department of Housing, Preservation and Development that would limit sale options for owners, but many owners in their sixties and seventies expressed reservations about it. The Department of Housing, Preservation and Development, did not respond to a request for information. A plan to sell a parking garage the coop owns in order to preserve affordability, put forward by a previous board of directors, is currently still theoretically open for a vote by the owners. But that vote is now being discouraged by the current board members while they decide how to respond to the developer’s offer, say opponents of the demolition plan. Berman said the current “contextual zoning” for the community allows buildings to rise no more than 60 to 65 feet along the street wall and 80 feet within the block, so any proposal for high-rises would require rezoning approval from the city before construction could begin. He said his organization would prefer to see the existing buildings remain and the residents not displaced.